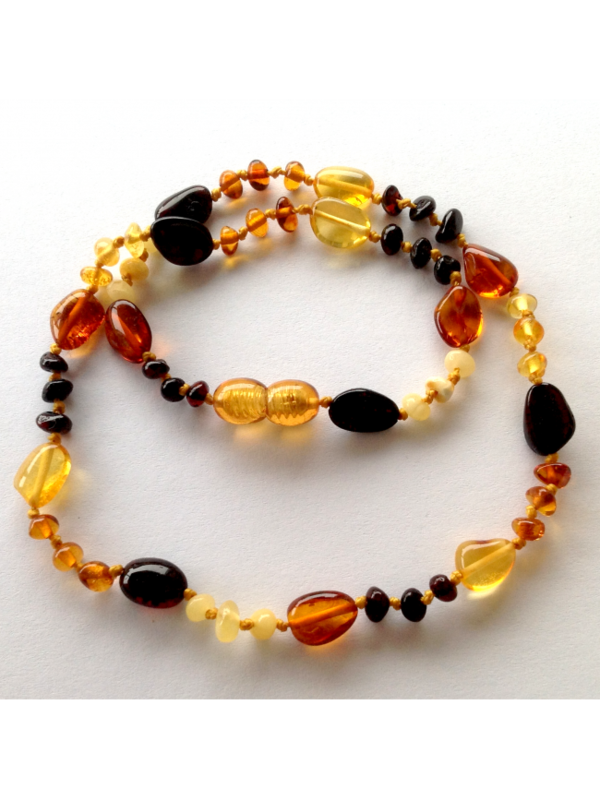 Necklace for children There is a knot between all pieces of amber. Screw clasp. Length: 33-..